Boomerang Bikes is not a shop we delivery to your location. Its better value for money to have groups over 6 people or hire periods of longer than 3 days. Anything less go to our Automatic Bike Hire stations. We have bike seats and trailers for hire with or without our bikes. What many bikes do you require? Go to Types of Bikes, we are always expanding our fleet so ask us if you dont see what you need. 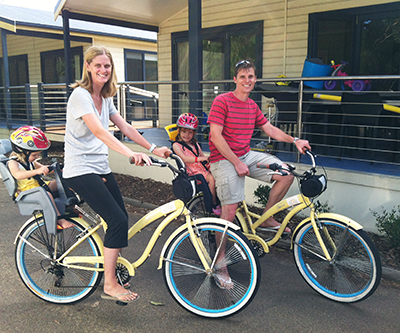 Tandem bikes are great fun for large groups for team building and bondings?